The ongoing epidemic of data breach notifications forced by today’s data breach disclosure laws has painfully highlightedthe insecurity of many of today’s applications. 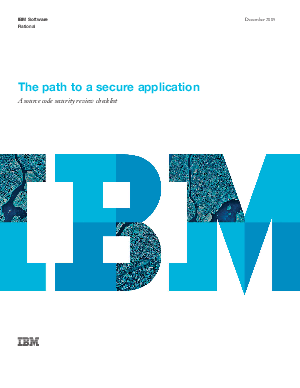 How can organizations ensure that their applications are secure, avoid thecost and public relations fallout, and stock price downturn from issuing numerous security patches? How do you avoid explaining to consumers and regulators that code defects allowed attackers to steal people’s sensitive and perhaps regu-lated information? The path to creating a secure application begins by rigorouslytesting source code for all vulnerabilities and ensuring that use of the application does not compromise or allow others to compromise data privacy and integrity.